To help you in your Easter celebration this year, Insight for Living Ministries would like to give you a copy of “A Resurrected Christ . . . A Transformed Life” from our 2019 Easter series. Chuck Swindoll leads us through several gospel scenes and shows how Thomas’ story proves the power of the resurrection to transform doubts into faith! This clear presentation of the gospel will not only stir your soul but may prompt you to share it with friends who need to hear it. You can listen to this message right now or download it for future listening. Listen to the complete message, “A Resurrected Christ . 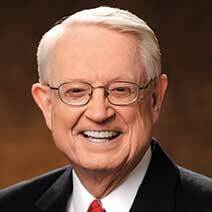 . . A Transformed Life,” by Chuck Swindoll.